THE SEVEN-YEAR-OLD daughter of Government minister Micheal Martin has died in hospital. Minister for Foreign Affairs Micheal and his wife Mary were at the bedside of their youngest girl, Leana, when she died today in Great Ormond Street Hospital in London. She was a beautiful light in our lives. Minister Martin has two sons and another daughter. In their statement to the media, the Martins appealed for space and privacy to deal with the loss. Email “Micheal Martin's daughter passes away”. 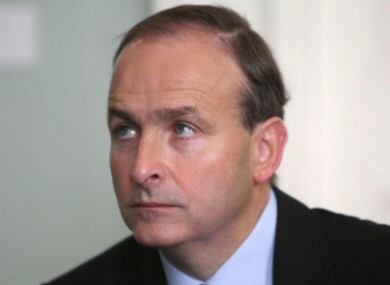 Feedback on “Micheal Martin's daughter passes away”.